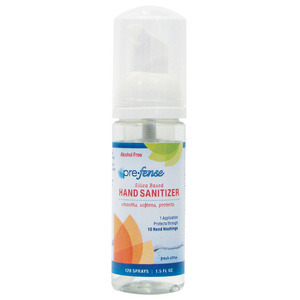 I recently tried prefense silica based hand sanitizer. Brendan has eczema and this prevents him to use any hand sanitizers with alcohol in it. This is prefect for him and in the 1.5 oz size it is great for him to take to school. one application will protect through 10 hand washings. Also a 1.5 oz bottle has 120 sprays included. Prefense advantages. One lucky TTGG follower will receive a big 8oz Prefense which offers 640 applications! I received one or more of the products mentioned above for free using <a rel="nofollow" href="http://www.tomoson.com/?code=BOTTOM7159ee6744f7862015648fab47a5ef62">Tomoson.com</aRegardless, I only recommend products or services I use personally and believe will be good for my readers.